Our special soft cake with sticky-chewy pineapple and strawberry paste in one box. 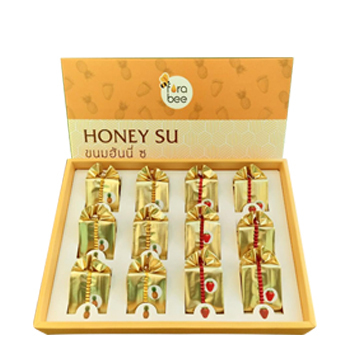 Rich and sweet with the combination of pure longan honey and fresh pineapple and strawberry, no added sugar or preservatives. It is soft, crispy and delicious in one bite ! Only a piece, you will experience the meaning of “Su”. For best quality and freshness, please consume immediately after opening. Suitable to serve with coffee, tea or healthy drinks.